With commercial aviation becoming an increasingly routine part of our every day lives, very few air passengers who embark on a flight ever consider a plane as a vehicle of infection. However, air travel has introduced its own particular hygiene issues such as waste disposal, airborne disease, contaminated food stuffs and the transmission of illness by rodents and flying insects. One of the major challenges that airlines face is the threat of infection from contaminated water including Legionella bacteria, Pseudomonas and other waterborne pathogens which can result in illness and infection including Legionnaires’ disease, a potentially fatal respiratory condition. In view of such water related risks, the IATA Drinking-Water Quality Pool (IDQP) was introduced by a number of commercial airlines to manage and control the risk of waterborne diseases within an airline environment. The IATA Drinking-Water Quality Pool requires regulated inspections of the drinking water systems used by the member airlines to ensure all water used for drinking and other personal use, and made available to crew and passengers is free from chemical substances and micro-organisms. These IDQP surveys and inspections are performed by IATA trained personnel who assess the water systems against the World Health Organizations standards and requirements, they review hygiene procedures, and prevention and control measures, together with lines of communication and reporting. Each IATA member shares water quality audit results around the world and implements procedures for carrying out airport inspections. The IDQP also covers the training and certification of auditors and the collection, consolidation and communication of audit results through a dedicated website. The IDQP ensures that the health of both crew and passengers are safeguarded by ensuring they have access to the highest standards of water quality. It avoids wasted time and money of auditing the same provider at the same location. Financial savings due to the reduction of workloads in airport inspections. The IDPQ was established to fulfil the requirements of ISO 17775, World Health Organization or EU/98/83/EC or those set by the civil aviation authorities of the participating airlines. Swiss Intern. Air Lines Ltd. The IATA Drinking-Water Quality Pool is a welcome step in the right direction in terms of maintaining good levels of water safety in airports and on aircraft. However, as you can see from the list above, the scheme is not universal in its coverage, with a number of major airlines currently not members of the scheme. 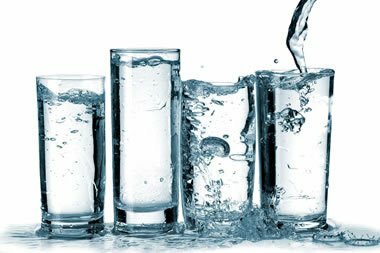 Legionella Control International offer IATA approved Drinking-Water Quality Pool audits and inspections through fully qualified water quality assessors, and are actively working in the airport and airline sectors to promote issues of improved water quality. Additionally we also offer a range of legionella risk management services including legionella risk assessments, audits, water testing and training services. Legionella Control International are industry leaders in water quality and safety management.